A hot spring in Yellowstone National Park. (CNN) - There will be fewer days to enjoy national parks for free next year. The National Park Service announced this week it's waiving admission fees on only four days in 2018, saying it hopes the fee-free days will give the public an extra incentive to visit. That number is down sharply from previous years, however, in an effort by the park service to address an $11 billion maintenance backlog, spokeswoman Kathy Kupper said. Maintenance is needed for "projects like infrastructure or things that directly benefit the visitor -- overlooks, campgrounds, roads, bridges -- all the way down to the programs that are done for the visitors," Kupper said. This year there were 10 free days and last year there were 16, to coincide with the park service's 100th anniversary. For two years before that, the number was nine. Kupper said free entrance days started in 2003, with two a year. The free days will apply at the 118 of the 417 national parks that charge for admission. The entrance fee varies by park, with $30 being the most expensive, Kupper said. 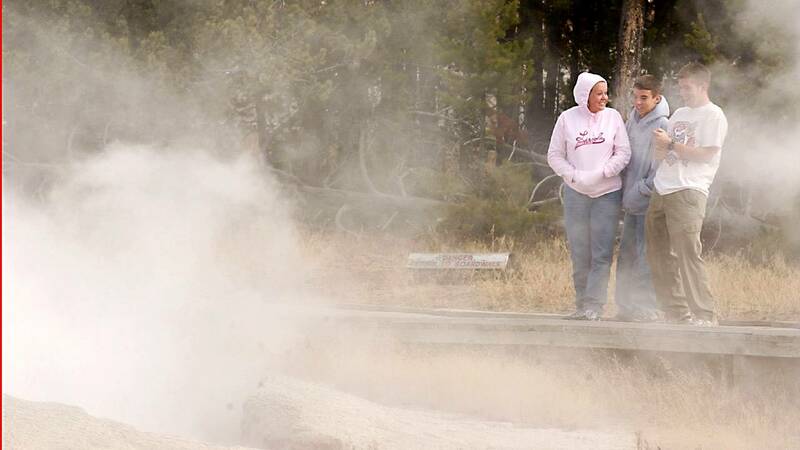 Another way the park service is hoping to address the maintenance backlog is by increasing entrance fees at 17 of its most popular parks, including Yellowstone, Grand Canyon and Yosemite. The plan, which is not final, could increase national park revenue by $70 million a year, the park service said. A public comment period on the idea is open through next week. "The infrastructure of our national parks is aging and in need of renovation and restoration," Interior Secretary Ryan Zinke said in October, when he announced the proposal. "Targeted fee increases at some of our most-visited parks will help ensure that they are protected and preserved in perpetuity and that visitors enjoy a world-class experience that mirrors the amazing destinations they are visiting."